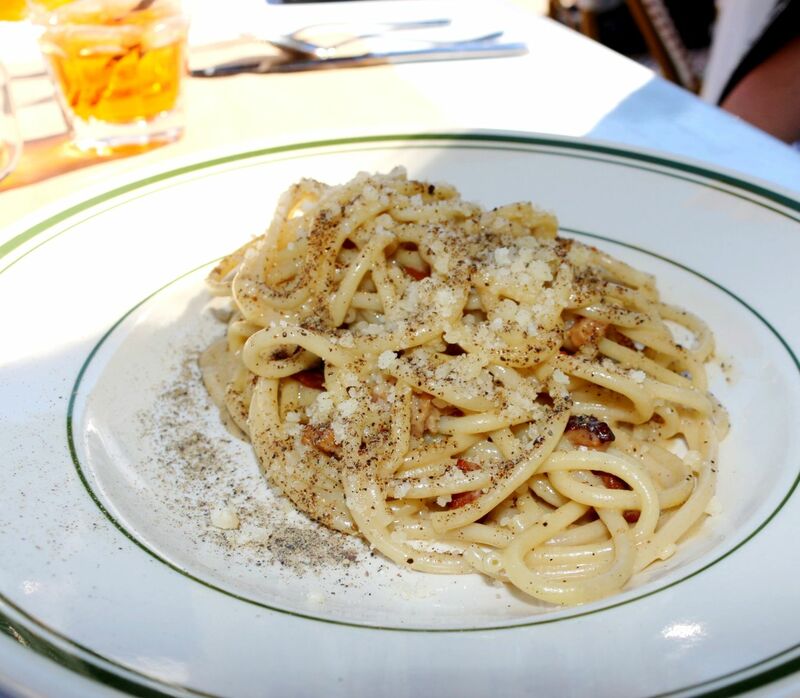 From the folks that brought you the acclaimed Pub & Kitchen, Trattoria Carina is a casual Italian gem found in the Fitler Square-Rittenhouse area. And it may be our new go-to spot, right on the corner of 22nd and Spruce. This "Little Darling" has a small menu, but it's big on flavor and execution, all under the execution of Chef Melissa McGrath. 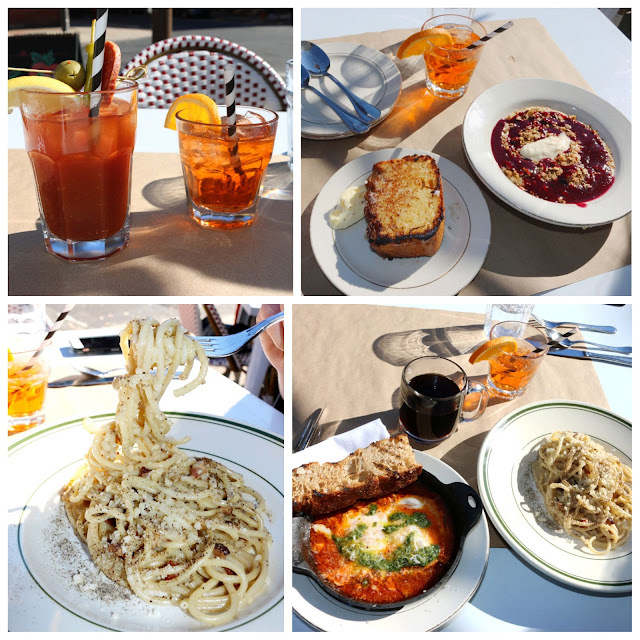 And recently, Trattoria Carina has expanded to include brunch on the weekends! Fitler Square-Rittenhouse gem Trattoria Carina has added brunch! To start our day, the GF and I enjoyed a citrusy-bitter Aperol Spritz and a sweet-and-spicy Bloody Mary, complete with a solid antipasti skewer! And including its bar program, Trattoria Carina is reportedly BYO (no corkage!). The apple cake is a must. Moist, soft, and buttery within, the grilled exterior helped to provide a nicely crisp textural contrast. Perfect to drape with some of that salted butter. A unique take on typically savory polenta, we enjoyed the sweet acidity afforded by the Concord grape jam. 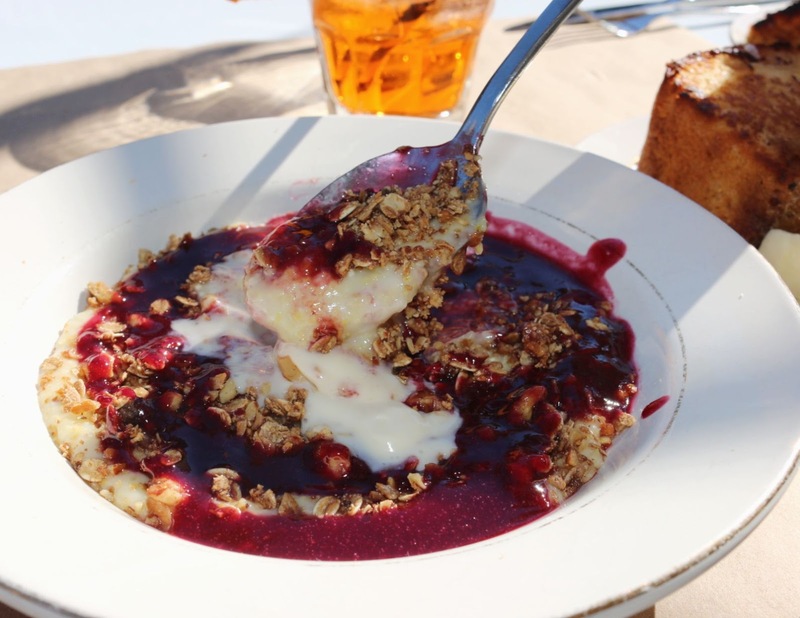 Studded with plenty of the walnut granola and a bit of the honey mascarpone, this is a nice reprieve from any savory items you might order during brunch! Savory, you say? How do you come to Trattoria Carina and not order the carbonara? Thick bucatini noodles are appropriately coated in egg yolk, plenty of Parm, and with a nice hit of black pepper. Interspersed throughout are salty nuggets of slab bacon. No need for any heavy cream here, folks. Trattoria Carina is doing it right. The smell emanating from this dish almost made me put my camera away. Almost. But as the GF likes to joke, the camera eats first. 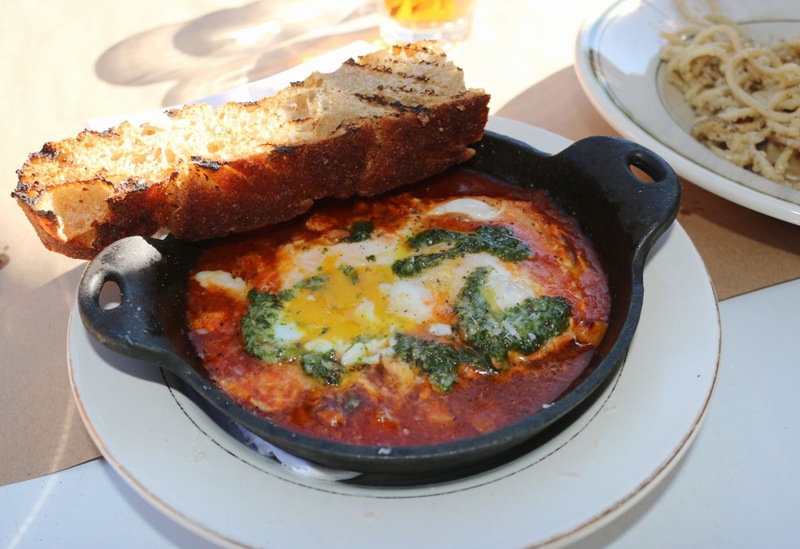 In a spiced up take on shakshuka, the savoriness of the "gravy" was perfect to dip the Lost Bread co. focaccia in. And as my fellow Master of None fans might say, "it's all bout that guanciale." The salty, fatty hits of the cured meat really made each bite. If only I could have had more bread (not that I asked!). 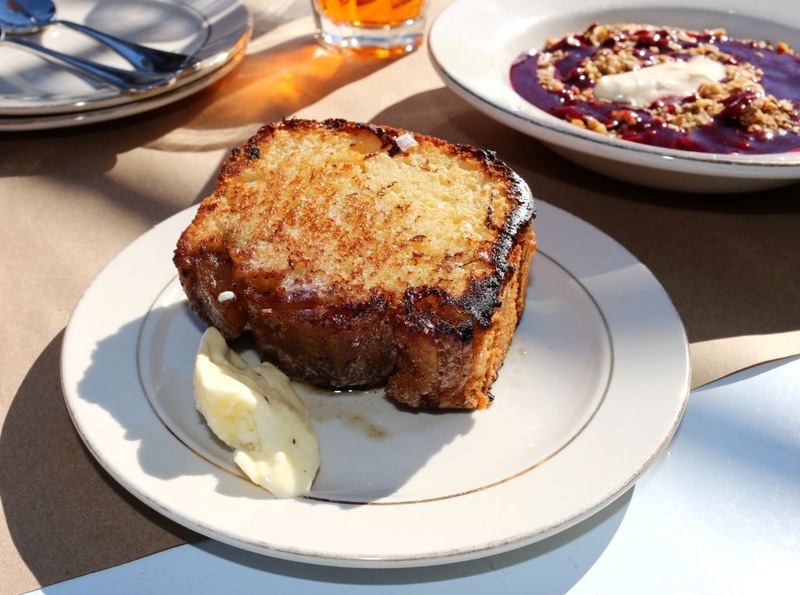 So if you're looking for a new spot to hit up for brunch, please check out Trattoria Carina. Along with the delicious dishes, you'll get great service. In fact, ask for Bill if he's available. I know I'll be back soon for dinner! The angry crab pasta Craig LaBan raved about it is already calling my name. FTC Disclaimer: Special thanks to Trattoria Carina for having us in. Regardless, my opinions are mine alone and, therefore, unbiased.